Collections of insects and other terrestrial arthropods have been housed on the University of California (UC), Berkeley, campus since the 1880’s, initially for the purpose of teaching. The strength of the Essig Museum of Entomology is due in large part to its long, distinguished history as a powerhouse of research and producer of renowned entomologists, and its close bonds with other museums. After Edward O. Essig (upper left) joined the faculty in 1914, the growth and uses of the collection were expanded primarily through a summer field course and the efforts of Edwin C. Van Dyke and Edward P. Van Duzee. The research collection, starting with 10,000-15,000 specimens (less than 1% of the present holdings), was formalized in 1939 as a function of an Agricultural Experiment Station project entitled the California Insect Survey (CIS). Conceived by Essig and E. Gorton Linsley, the CIS expanded its activities after World War II. 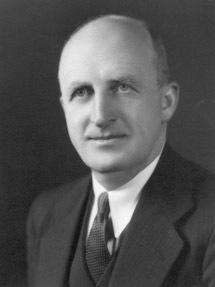 Paul D. Hurd (upper right) became supervisor in 1947, and through his efforts the collection grew rapidly and gained wide recognition. In 1961 Jerry A. Powell (left) was appointed as Junior Entomologist, and in 1963 assumed responsibility for the CIS. 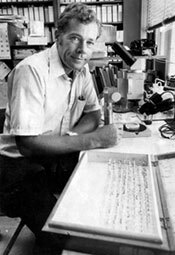 The collection was named the Essig Museum of Entomology by the curators in 1972 in recognition of Essig’s contributions. During the 36 years of Powell’s tenure through 1999, the museum experienced continued rapid growth (126%, 1961-1970) and increased activity, and was ranked among the top university-based collections in North America (S. E. Miller, 1991, American Entomologist 37(2):77-84). Rosemary Gillespie , (right) Director of the museum (1999-2013), assumed the post when she was appointed Schlinger Chair of Systematics in 1999. She was subsequently joined in 2001 by Kipling Will (below left) serving in the position of Associate Director, then Director (2013-2018). University of California students trained at or associated with the Essig Museum or the earlier collection have become leaders in the field of entomology at museums and universities throughout the world, and the list reads like a Who’s Who in Entomology: Peter D. Ashlock, Richard M. Bohart, Donald E. Bright, Jr., John W. Brown, Donald J. Burdick, John M. Burns, John A. Chemsak, John T. Doyen, Deane P. Furman, Wayne Gagne, Rosser Garrison, J. Linsley Gressit, Charles E. Griswold, James Haddock, Kenneth S. Hagen, Jon L. Herring, Yu-Feng Hsu, Paul D. Hurd, Daniel H. Janzen, Clarence D. Johnson, John D. Lattin, John F. Lawrence, James Liebherr, E. Gorton Linsley, Evert E. Lindquist, Don MacNeill, Ronald McGinley, Charles D. Michener, Charles & Lois O’Brien, Paul Opler, Jerry A. Powell, Frank Radovsky, Arthur Raske, David C. Rentz, Fred W. Rindge, Edward S. Ross, Jerome G. Rozen, Constantine Slobodchikoff, Ray F. Smith, John Sorensen, Wallace Steffan, Catherine Tauber, Robbin Thorp, William Turner, Robert L. Usinger, Natalia Vandenberg, Robert van den Bosch, David Voegtlin, David L. Wagner, Marius Wasbauer, Robert Wharton, James Whitfield, Elwood C. Zimmerman.